Howdy and TGIF, ‘Fetti Fans! Cathy, please email info@reverseconfetti.com for your prize. Thank you to everyone that played along. The submissions were absolutely INCREDIBLE…as always. It makes my heart swell to see all your Reverse Confetti creations! It’s Friday and time for WEEK IN REVERSE, where we take a look back at what the most awesome design team, The Confetti Crew, has been up to this week. Susan broke out her Copics and played with FREIDA FOX this week! Isn’t she darling? And, if you are wondering…we will soon be introducing you to a friend of hers! 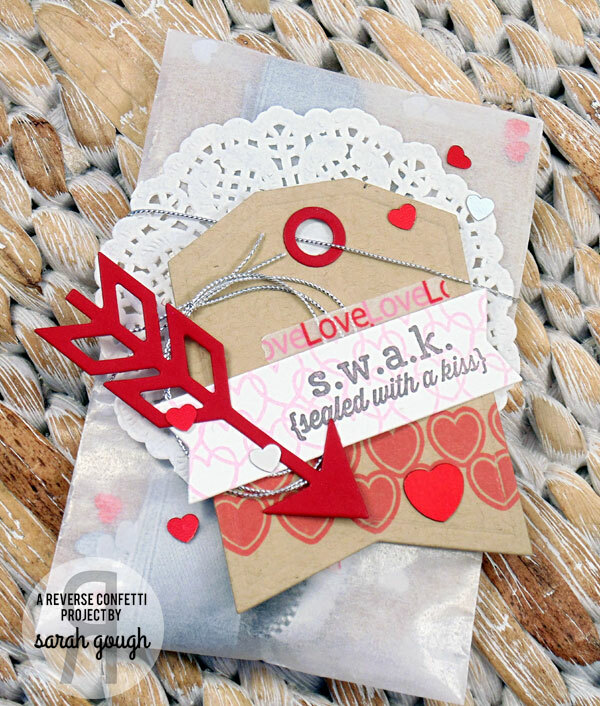 I like card making, but I LOVE seeing Reverse Confetti stamps and Confetti Cuts dies being used in a variety of paper crafting project, like Leigh’s beautiful scrapbook page featuring SWEET THING and TAG ME Confetti Cuts. You can also see Leigh on this week’s Confetti Camera post (Thursday, 2/27). 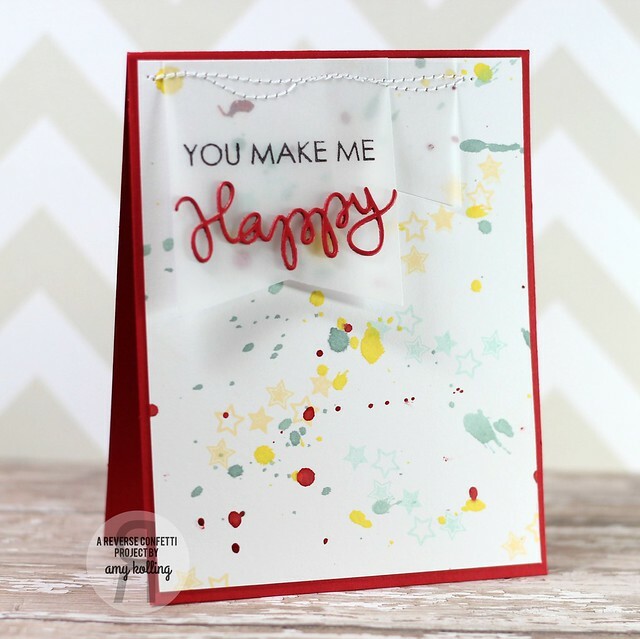 Another great ABC (anything but a card) project from Amber using SWEET TREAT TENT Confetti Cuts, TAG ME Confetti Cuts, SWEET THING and WHOLE LOTTA HEARTS. 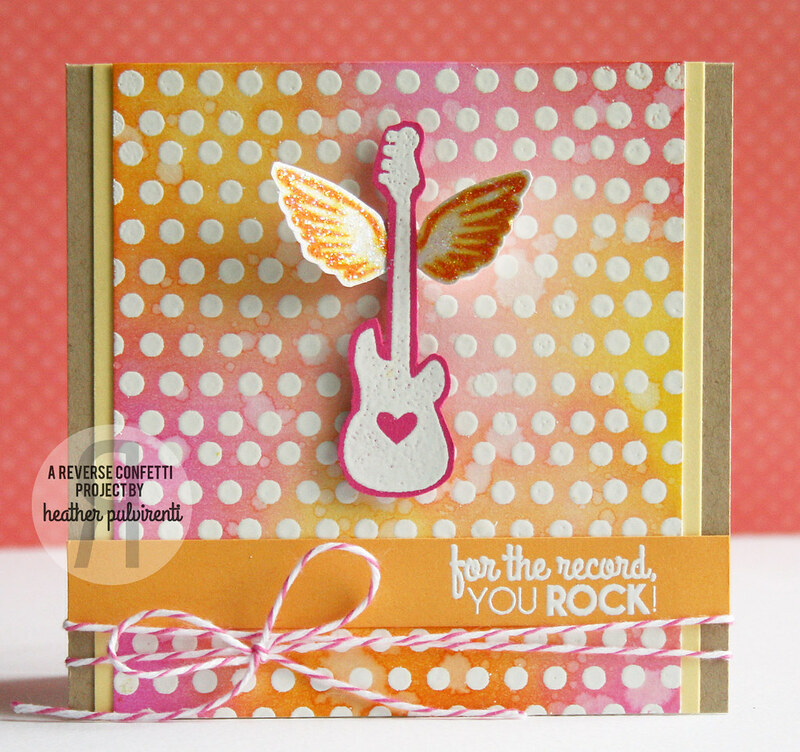 Pink+Orange+INNER ROCK STAR= awesome cards from Stacey and Heather! Heather created part of her background with WHOLE LOTTA DOTS, too. Susan’s card also uses WHOLE LOTTA HEARTS and the TAG ME Confetti Cuts. Amy also added the TAG ME Confetti Cuts to her creation. Amber also used PAPER CRANE this week. 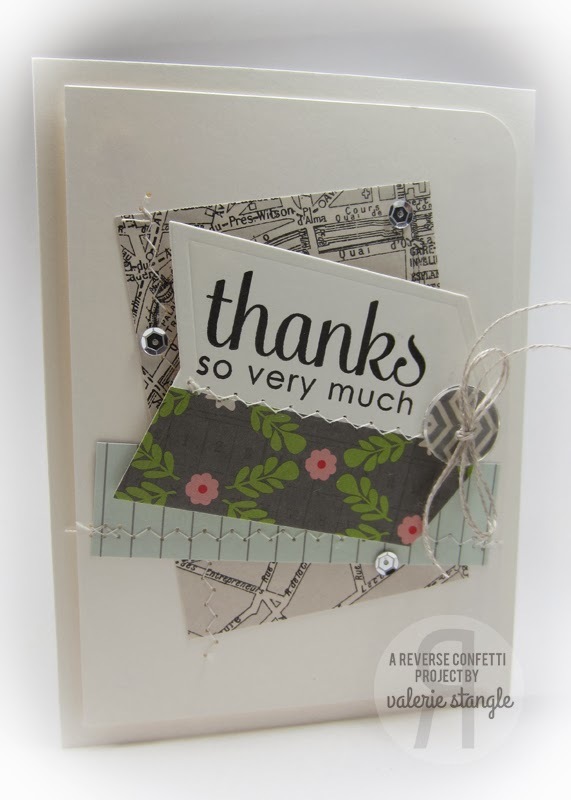 Her creation features on of the other sentiments and a very cool layout! 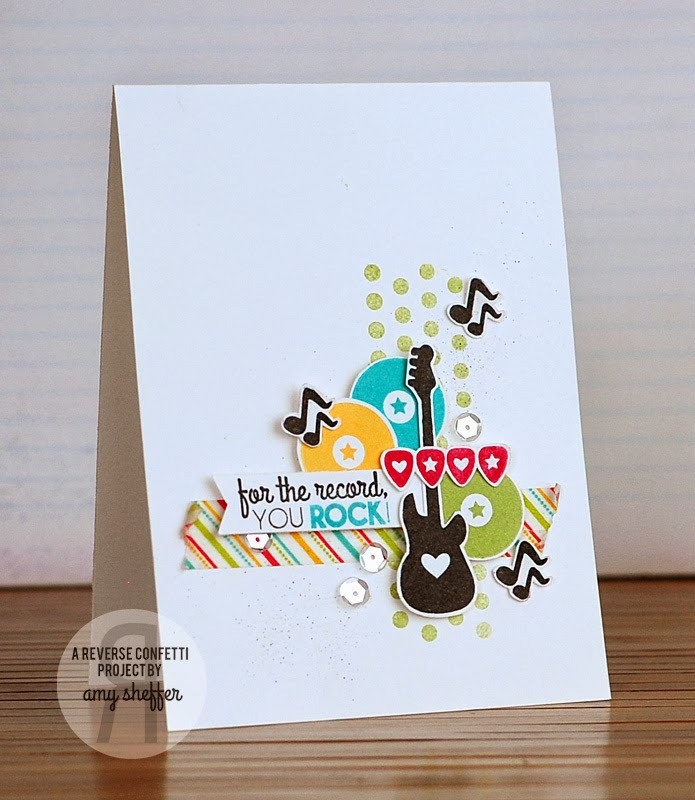 Amy K.’s card is a cool collection of a variety of Reverse Confetti products including the Christmas(!!) set, BRING ON THE MERRY, INNER ROCK STAR and TAG ME Confetti Cuts. 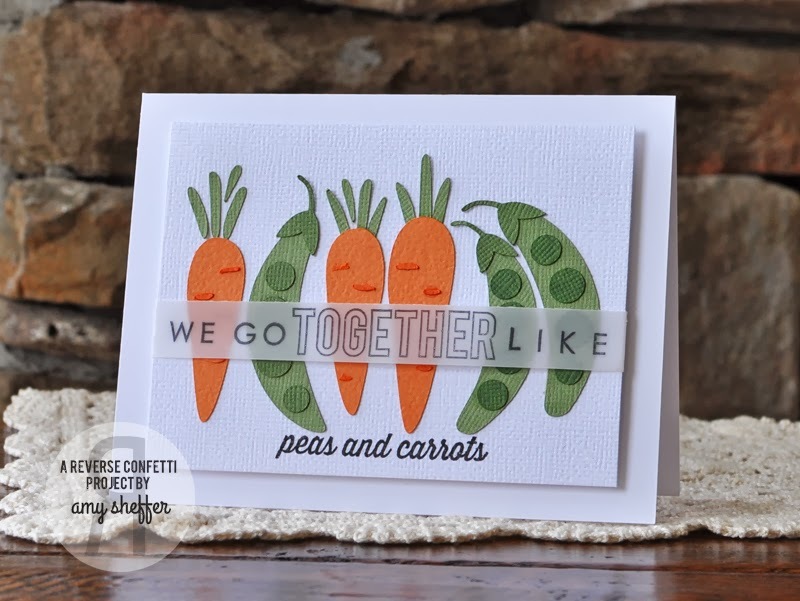 Amy S.’ GO TOGETHER card with those darling die cuts to match the oh-so-perfect sentiment makes me smile! Val shares more than moolah on her blog. You can check out her Pocket Tag tutorial using HERE. Such a fun card (and tag!) and she always WOWS me with how she combines her RC products. 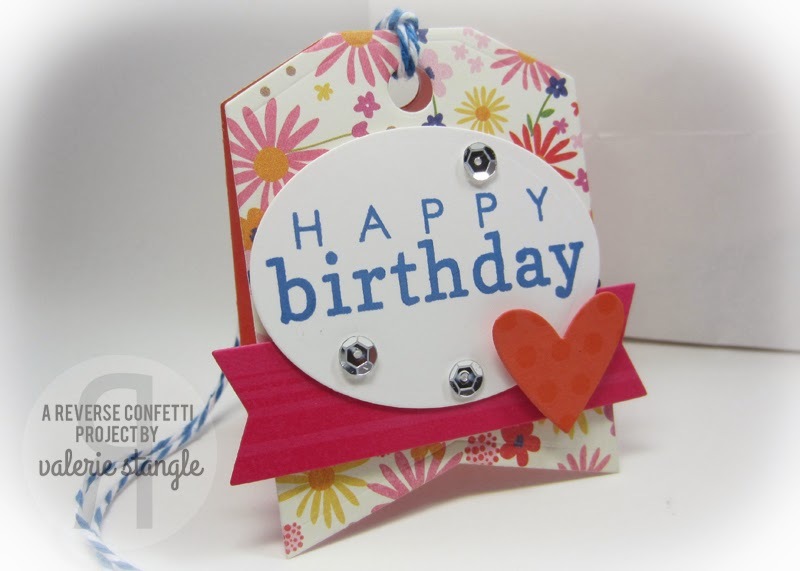 On this card she used CRUSHIN’, ARROWS ‘N ELEMENTS, SWEET THING and TAG ME Confetti Cuts. See you tomorrow with a new SKETCH FOR YOU TO TRY! You don’t usually see me blogging on Saturday unless there’s something special happening. Today, there’s not just one fun announcement, but TWO! Sharri, please email info@reverseconfetti.com to claim your prize. Today is also the release of the exclusive Reverse Confetti set, SHINE ON, through The Little Blue House. This set is available in their Front Porch Kits (fabulous and fun kits with great product that can be used on a variety of projects) and separately via their website or by calling the store. Hello and thank you to everyone that played along with this month’s (brand new!) color challenge! It’s time to announce the winner. Well, actually it was time much earlier today, but the turkey hangover seems to be prolonged over here (sorry!). You can see Tara’s card on her post HERE. Thank you to everyone that played along in this month’s SKETCH FOR YOU TO TRY! Can I get a drumrollvfor the SFYTT ‘Fetti Fave, please? 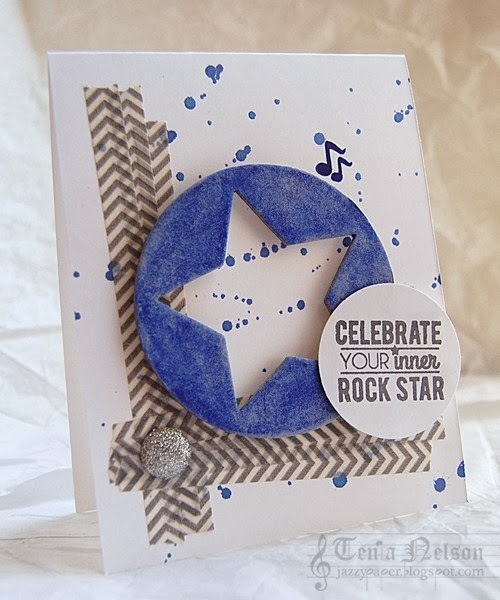 Here’s her card using INNER ROCK STAR. I love all the paint splatter in the background, the washi tape panels and the fun color combo, too! Just a reminder that our brand new COLOR CHALLENGE debuts tomorrow! It’s been a couple of weeks since our last WEEK IN REVERSE. I am happy to say that we are back today with this weekly segment that features/recaps the Reverse Confetti projects from the Confetti Crew design team. It’s day two of the COUNTDOWN TO CONFETTI! Simply leave a comment under the graphic. One person that comments on the graphic by 1pm EST on November 7th will be randomly chosen to win a $15 gift certificate to the Reverse Confetti store. Winner announced here on the blog, with the comment winner, as well as on Facebook. Before I get to my samples using this fun and original set, I’d like to introduce you to Angelica Suarez. She’s one of our new illustrators and I love how she was able to take my concept, sketches and list of ideas to create the artwork for BE A BARISTA. I’m Angelica, an illustrator, graphic designer, mom and full time thinker-upper who can’t sit still for more than a few minutes. I live in Green Bay, Wisconsin with my husband Jorge, our two girls Lucy and Marlee, and three furry kiddos that keep us busy. It’s my joy to use all different kinds of media to tell stories, and explore new ways to communicate the gifts of life and love. It’s been a long while since I last broke out my Copics to color an image! Coloring this mug really reminded me of how much I love to color and use colored images on my projects. I can say with some certainty, that you will be seeing some more line art coming to Reverse Confetti (wink). If you’re not a colorist, don’t worry, this set looks great colored or not (you’ll see that on some of the Confetti Crew and Friends projects). Of course, you can always paper piece it, a technique I actually LOVE to do! 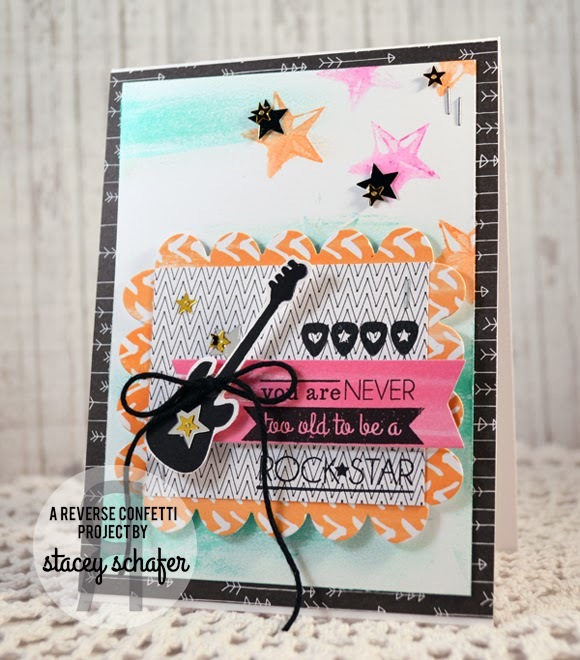 This project features the new BE A BARISTA and SO STRIPEY stamp sets, along with the SWEET TREAT TENT Confetti Cuts. To get the look of tea, I stamped the solid liquid image and then hung the tea bag from the side of the mug. TIP: Stamp the liquid and then stamp the mug for easier alignment. Why is it easier this way? It’s easier to do it this way because you can see through the negative portion of the mug better than you can see through ink on the solid/latte art images. 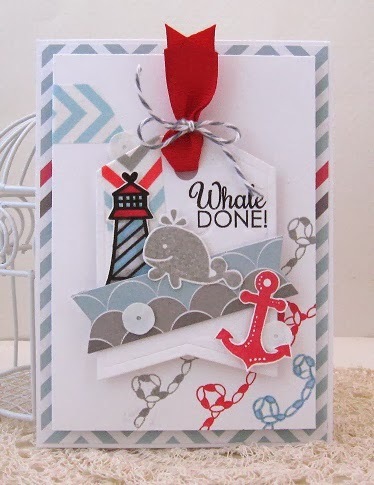 There is so much more inspiration to see using all these stamps and dies that are releasing on Friday, November 8th! ANGELICA SUAREZ-Illustrator of BE A BARISTA! So Stripey is a must have background set featuring 5 different stripe backgrounds. These are the perfect addition to holiday projects, and easily make the transition to all projects year round. 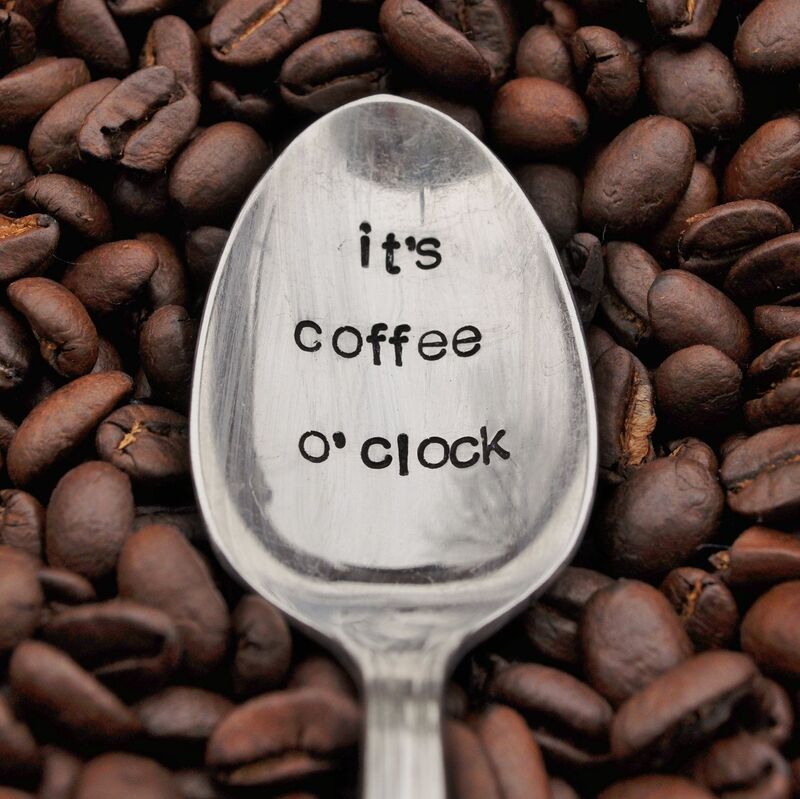 Love coffee and/or tea? This is the set for you! It’s unlike any coffee set on the market in that it features 2 latte art images, a solid oval for coffee or tea, as well as the word “latte” that works with several of the sentiments. So many possibilities in one set! 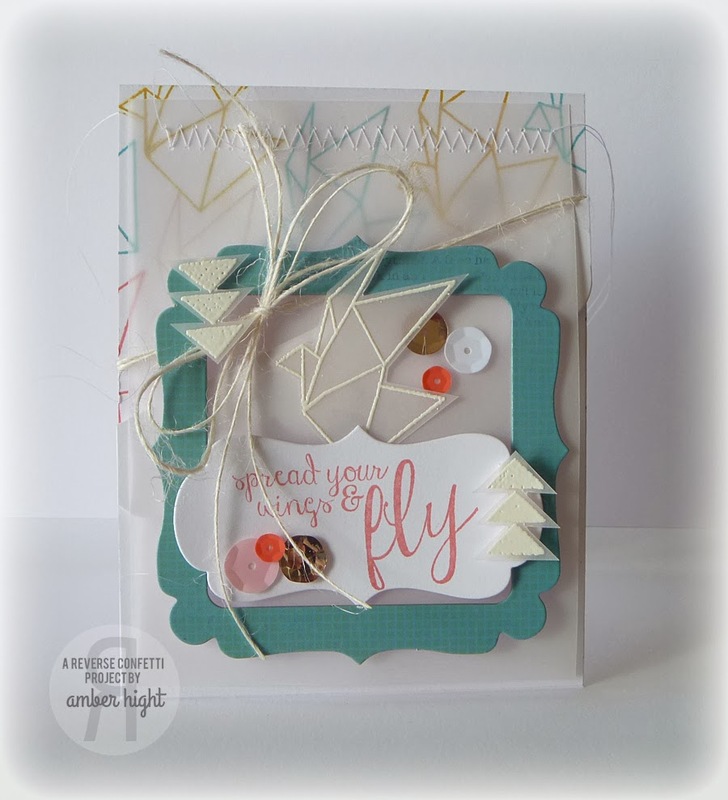 Tag Me is just the tag die set that you are looking for! Included are 2 flag-ended tags, with the large tag including embossed detail. 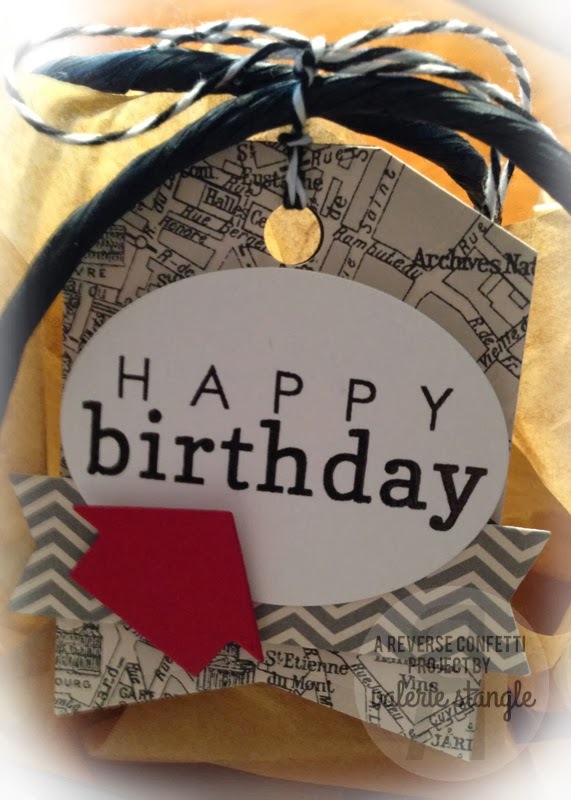 Also included in this set are circle detail for the top of the tag, as well as a large flag-ended banner that most Reverse Confetti sentiments will fit on. This will be your go-to goodie container! Simply cut TWO of these die cuts and adhere together for the perfect treat tent that will hold snack size goodies and other treats. This is a long post. Grab that cuppa joe, sit back, relax and enjoy all the new Reverse Confetti inspiration! It’s no secret, the holidays are just around the corner. There are cards, gifties and decorations to be made along with family meals and cookies for friends and neighbors. 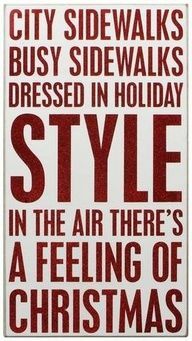 It truly is the most wonderful time of the year! Today we are introducing not only one or two, but THREE new stamp sets and our TWO new CONFETTI CUTS (our very own line of exclusive wafer-thin dies) that are just perfect for all of your holiday creations (and more!). In addition to making tags, I also love making little gifties that can be given to friends, family, teachers and hostesses. 1. Fold each tab inward and adhere tabs together. 2. Cut ONE tab off and adhere other tab to the inside top of opposite Sweet Treat Tent die cut. 3. Cut BOTH tabs off and either adhere top of SWEET TREAT TENT die cuts together with adhesive or tie together with ribbon, twine, etc. I created embellished cards to go on the “pages.” Not all adhered, since I want to wait until I have all the pictures from the holidays to include with them. 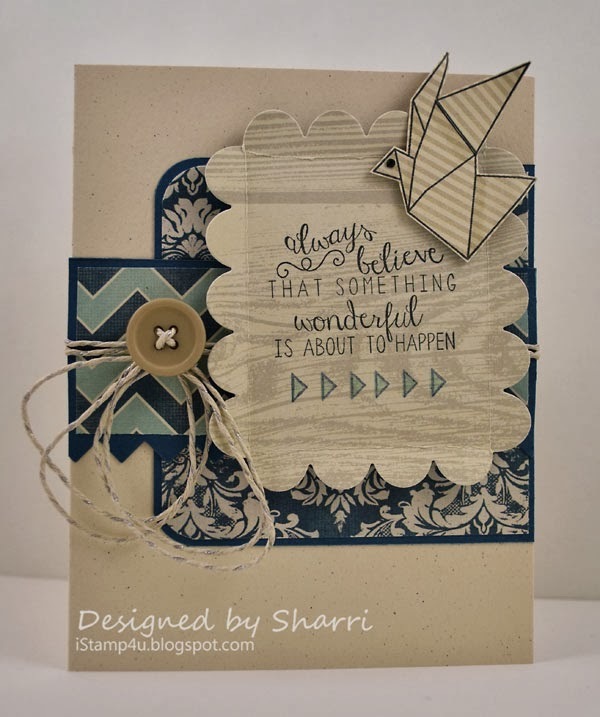 There is so much more inspiration to see using all these stamps and dies that are releasing on Friday, November 8th! Check out the Confetti Crew & Friends’ posts. Elena Roussakis, this month’s very special ‘FETTI FRIEND! Bring On The Merry is part of our KEY WORDS COLLECTION, which provides you with a “key word” to mix and match to create a wide variety of sentiments. There are well over a dozen possible word combinations (be sure to see our mix ‘n match graphic showing these), as well as decorative swirls to add to your holiday cards, tags, gifties and scrapbook pages. Tinsel ‘n Trim is the quintessential holiday set is for every paper crafter! Graphic elements add fun detail to any project and the clever and cute sentiments are the perfect addition to those holiday tags and pages. Here at Reverse Confetti headquarters (<–aka, my dining room office) we are excited for the introductions of new team members happening tomorrow and for the upcoming November 8th release. This release is packed full of awesome stamps (‘n stuff) that you are gonna love…promise! And, yes, that’s another hint! And, speaking of excited…it’s a thrill to announce the OCTOBER ‘FETTI FAVE! Again, a HUGE congrats to Amy who will receive the ENTIRE November 8th stamp release as well as be invited to join us for sneak peeks and the new release hop. See you tomorrow for some wonderful introductions! Hello ‘Fetti Fans and Happy Monday! Here at Reverse Confetti, we are getting into the groove of fall and prepping for beyond that. It’s a little weird to be designing stamps for our January release while the sun is shining and either Rangers baseball or Sooner football is playing on the t.v. in background. We have lots of original designs, as well as a new illustrator that we will be introducing to you soon. I hope you’re excited as I am! And, speaking of excited…it’s a thrill to announce the SEPTEMBER ‘FETTI FAVE! Well, you won’t see us posting here a whole lot on weekends unless it’s for a special occasion like announcing the August ‘Fetti Fave…or next weekend while we continue our sneak peeks for our September 8th release. It’s the last day of the month and it’s time to announce the AUGUST ‘FETTI FAVE! CONGRATULATIONS TO THE TALENTED TAHEERAH ATCHIA! She is the August ‘Fetti Fave and wins the ENTIRE NEXT RELEASE from Reverse Confetti and is invited to play along with the Confetti Crew. She was actually a ‘Fetti Find twice this month with two SPECTACULAR cards! Please join me in congratulating Taheerah!